The Hudson-Meng Education and Research Center (HMERC) is located in a picturesque, rural setting on the Oglala National Grassland, just south of the Black Hills of South Dakota. 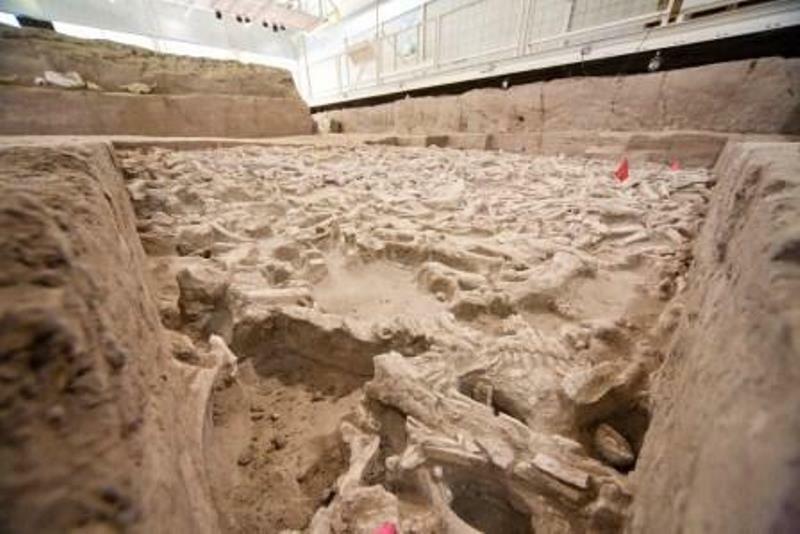 HMERC houses one of the most important discoveries of Archaeology and Paleontology in North America. From approximately Memorial Day to Labor Day each year, HMERC is open to the general public and periodically hosts university-level archaeological field schools. Once again this year, the Center needs your help! PIT volunteers will staff the summer field season to help with visitors and spread public awareness of history, historic preservation, and Grasslands natural resources. Day-to-day duties will vary, and will allow volunteers a wide range of experiences, such as assisting Forest Service personnel in designing and providing interpretive programs for the public. Topics will include archaeology, history, paleoecology, and paleontology, and development of educational materials about Hudson-Meng and Toadstool Geologic Park; the latter will be specifically geared toward local K-12 schools. Additionally, volunteer and Forest/Grasslands staff will provide routine maintenance/cleaning of the facility. All PIT volunteers will be encouraged to develop one unique interpretive tour that fits within their field or topic of interest, which involves Hudson-Meng and spreads public awareness of its cultural resources. Guidance and resources will be provided as the tours are developed. Finally, the project leader may be willing to sponsor undergraduate or graduate students who wish to earn college credit by completing an independent study or internship program through their respective academic institutions. If interested in receiving academic credit for the summer project, please indicate this on your application, and discuss with the project leader if you are selected to arrange credit and to check IF a field school will be available. This is a very unique opportunity, and makes the Hudson-Meng Interpretation PIT project an especially attractive fit for interested college students! Applications will be accepted only until project slots are filled, so apply today!